Wife. Mom. My thoughts. My ramblings. My dreams. My life. I've been pondering on the William Barclay quote I have on the top of the page. Being an encourager is very important to me and there is so little of it today. Are we sometimes too busy to notice the need to encourage. 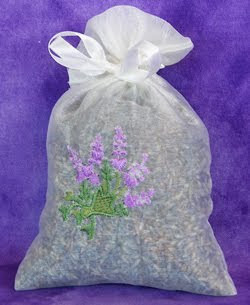 I'm reminded of the reason for choosing a lavender basket as my blog name. The scent is heavenly and has such therapeutic properties. But have you thought how the scent is given off? You have to rub up against it. You have to bruise it and sometimes strip it. I think sometimes as encouragers this is what we do, we get bruised, but what a pleasure if the aroma coming from me is as heavenly as that from the lavender bush. 1Thessalonians5:11 "Encourage one another and build each other up"
I love the word picture you've created with lavender needing to be bumped, bruised or brushed against to emit it's sweet scent. Sometimes life gets hectic. We need to remember to take a break. Amongst my business of being a mother, a wife, and teaching drama at a theatre school, I like to put my feet up with a cup of tea. I love taking walks through the countryside that my Lord has created. I love creation. I love the sea, and snowy days, and days with sun and warmth. I'm not a fan of the cold. I love my kitties. I like arts and crafts, and patchwork creations. I like to write letters when I have the time. I love my family, and I love making memories with them. I like curling up in front of the fire on a rainy afternoon and watching a movie. I love helping my children, whether it is driving them somewhere or giving them advice. I want to go to America and visit all of my friends. I am thankful for everything that God has provided me with, and I thank Him for the opportunities He's given me and continues to give me. ... everyone would be doing it. Just pretend you don't know how hard it is. Lie on the sofa like a great big slug. Hug somebody. Pick wildflowers. Dance like you danced when you were five years old. Rest. Sit under the stars or on the edge of the ocean. Take off your shoes and wiggle your toes. Sing like Pavarotti. Help yourself to a huge slice of chocolate cake. Call a friend. Listen. Remember the last time you laughed out loud. Tickle somebody. Sit where you can feel the sun on your face. Smile. Look out a window and drink in the world. Walk under old trees. Make a list of everything you’d do if you were guaranteed successes. Make a date to do something you’re scared of doing. Risks are worth taking. Mistakes are worth making. Run a hot bath. Wrap yourself in a duvet. Think about someone you love. Light a candle. Take a deep breath. Be still. Be present. Just be." - From Happiness & Inspiration tea.